Well my wife and I left Flafstaff yesterday after fixing the motor casa water heater and installing to NEw Trojan T125 Six Volt Coach Batteries. Matt at the battery store gave me a 15% good guy discount so the batteries only cost $331. Gas was $3.44 at Terrible Herbst in Kingman and $3.56 at the Pilot before Needles. It was $3.84 in Needles. 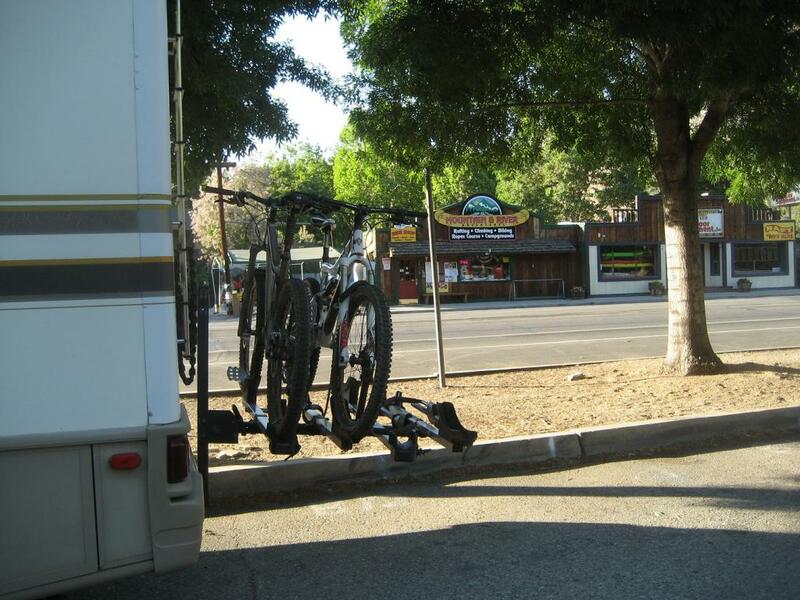 We rolled in Kernville aound 12:01 AM last night and I pulled over to stick the bikes in the coach before rolling into town. When I stopped along the road some friendly Kernvilleian called out and asked if I needed help. I walked across the street and introduced myself as Convict John. He introduced himself as Mason John. Anyway after about 15 minutes of swaping lies, John told me why don't you just park at my place for the night? That worked for me. In the morning my wife and I shuttled up with ten boy scouts to do the JO downhill. The boy scouts went the other direction. Going rafting tomorrow and hopefully doing the Canell Plunge on Friday. Last edited by traildoc; 06-12-2012 at 06:43 PM. While in Flag, can you pick up TPS and take him with you.....please? Have a great time!!!!!!!!!!!!111!!!!!!! And stay out of trouble. The Number 1 TD Hater. Thanks for the nice post. My wife is fixing fresh mushroom fried rice barbecue pork tonight, so life is good in Kernville. The Kern river is about 1/2 block away from our current parking spot so we will head down there for a swim later. Just got back from a 10 mile ride, in 110 degree temps. Making quinoa, black bean mushroom stuff red peppers and shaved Brussel sprouts with drizzled maple syrup. Let's share recipes. You and your wife have a great safe time on your travels. I hope you get away from the computer, cell phones and civilization long enough to remember why you got so nutty over biking in the first place! Just got back from Outback, too tired to cook, worked my azz off today-again, no time to ride, boy I envy you guys. Although I have to agree, life is good. I am planning to hit up Flag this weekend for a little jaunt through the Aspens. I see no hoes, maddoxes, saws, loppers, or shovels in any of your pics, TD. That's a GOOD thing. Have fun and try not to piss off the local mounties. TD won't be there long enough for that. But I am willing to bet a shiny nickel he has tools of some kind... Keep moving TD. Today I rode some of the most screwed up trails from a sustainability standpoint then any where else I have ever ridden. Whoever routed some of these trails certainly did not go to the Plumber Phil Trail Routing University. 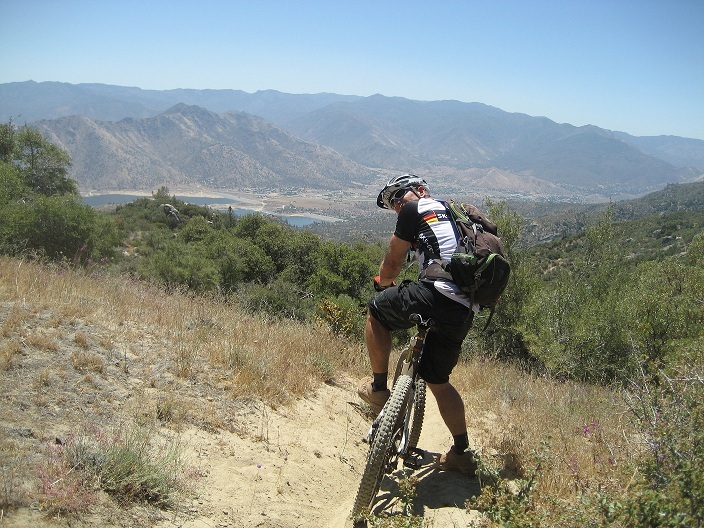 After working with Phil for three years I could have done a much superior job than the original trail builder did on some of these trails in Kernville. Their on the official map and have FS signage so they are legit trails. Jennifer would have never allowed such irresponsible trail building in Sedona as to what I witnessed today. It was fun and challenging to ride, but it will never last. The FS people here seem really nice, so I am having a good time. I will do a video of the Plunge for your viewing pleasure. Hopefully it isn't an erosion fest like today's ride. If those are the same trails I rode in '94, I'd say they were pretty sustainable, TD. Additionally, transporting a female (your wife) across state lines (you're in California now) for immoral purposes (messing with perfectly good sustainable trails), will get the FBI on your back. Now if you think the Forest Service was bad...you ain't seen nuthin till you miss with those guys. I already have one friend doing federal time. He tells me it ain't no joke. Don't do it. Give it a rest Big Fella You're on vacation. 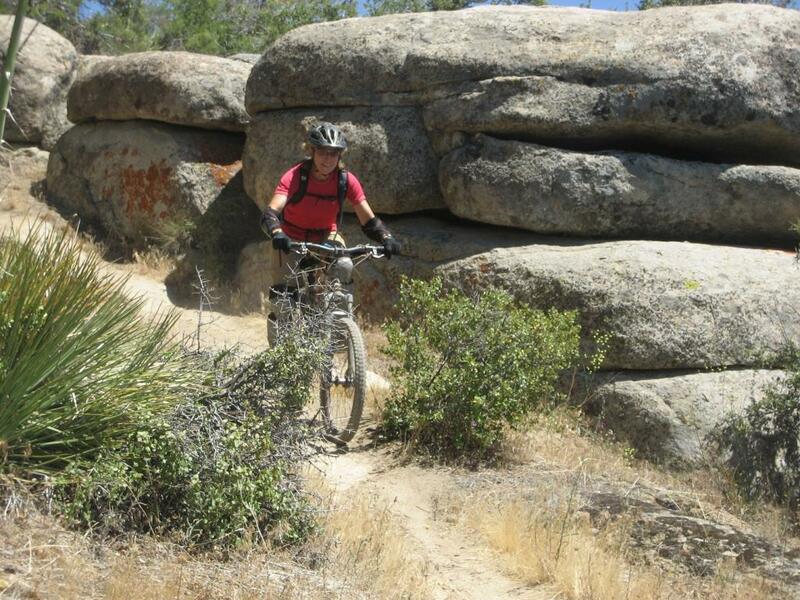 I doubt the trails I rode in Kernville yesterday were any of the trails you rode in 1994. If you think a deeply eroded fall line trail is sustainable you are mistaken. We ended up on Saw Mill Road if that helps to orientate you. A large amount of the ride was down a ridge, that could have easily have had the trail routed on either side of the ridge line to allow fast moving water to be dumped out naturally on either side of the ridge. On the steep sloped sections there were very few grade reversals to allow for the natural shedding of fast moving water. can you imagine my delight at the outcome of your case? Last edited by Acrophobe; 06-19-2012 at 04:59 PM.